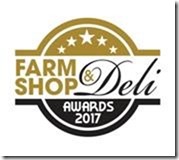 Horsforth Farmers Market is one of two finalists for the award of Farmers Market of the Year in the national Farm Shop & Deli Awards. Country Pies news: At the moment, it looks as if Jane from Country Pies will be absent from the April market. The move to their new premises is proving more complicated than they anticipated. Entertainment: ‘All for One Choir’ will be providing the live music this month. The Community Stall: The Woodland Trust will be publicising their work this month on the ‘Horsforth Matters’ stall. Country Pies news: Jane is moving house including all her cooking equipment. She will be back with us as soon as she can. Swillington Organic Farm Meat: Ed has been with us since our market started over four years ago but he has decided to concentrate on the Farm’s Box Scheme and Farm Shop. We wish them well for the future. The Community Stall: The March market is being held half way through national Fair Trade Fortnight, so the stall will be publicising the work and achievements of the Horsforth Fair Trade Town Campaign. You will be able to sample Fair Trade coffee, buy Fair Trade foods and have a chance to win a hamper of Morrison’s Fair Trade products! Last minute cancellation: Jane from Country Pies wont be at our market this Saturday. She will be back with us as soon as she can. Watch this space! The Community Stall this month is publicising the Horsforth Allotment Centre. This is a must for all keen gardeners! The store room is run by volunteers and is on Featherbank Lane opposite the Primary School. It is open on a Friday evening from 7.00 – 8.00 pm selling all you need for gardening at basically cost prices. Their website: www.haga.btck.co.uk will give you the wide range of goods they sell. Congratulations to Mario from the ‘Olianas Gusto Italiano’ stall. He won the award for the best semi-soft cheese and was runner-up as the best artisan producer at the Great British Cheese Awards in London. Mario is one of our regulars and you will find his stall in the lower market each month. We welcome back our regulars Bill and Lynne with their Blossom Honey stall, and Joanne from Thistlemist selling her soups and sauces. Our Terms & Conditions have changed slightly. You can download the new document here. Two of our regular stalls will be missing in October: ‘Blossom Honey’ (Bill and Lynne are on holiday) and ‘Thistlemist’ (Joanne is at a wedding). Both will be back for the November market. Owing to staffing difficulties, we are sorry to lose ‘Autumn Harvest Mushrooms’ as one of our regular stalls. Hopefully they may be back as a Guest Stall for a few markets in 2017. Community Stall: the Friends of Hunger Hills will be publicising their activities. We’re delighted to have a new cheese stall at the market this month. Entertainment this month will be choirs from Horsforth Newlaithes and St. Margaret's Primary Schools. The Community Stall this month will be publicising the Horsforth School Year 10 drama group. Their production of ‘The Pals’ on July 13 & 14th at the school tells of the experiences of some young members of the Leeds Pals Battalion at the Battle of the Somme. Entertainment this month will be a free Bouncy Castle! The Community Stall this month will be staffed by members of Newlaithes Primary School Parent-Teacher Association (PTA). Whiteleys with their plants and vegetables wont be with us in April as Vicky and Bryn have a special birthday to celebrate that week-end. The Community Stall in April will be staffed by the Horsforth Walk of Art group. All our current regular stalls will be with us on March 5th including Autumn Mushrooms. Those wanting gluten free foods will be delighted that, this month, we’ve managed to fit in an extra slot for Trisha and Mark from Gluten Freekz. The Community Stall this is month is staffed by volunteers from the Horsforth Fair Trade Town group. From 10 – 12 noon you will be able to sample Fairtrade coffee, toast with Fairtrade spreads and lots of samples of Divine Chocolate. We are delighted to welcome back all our regular stall holders to this our first market of 2016. You’ll be pleased to know that Mario with his range of Italian foods (Gusto Italiano) will be with us every month this year as one of our regulars as will Simon at the Round Green Farm venison stall. Good news for those wanting gluten free food. Trisha and Mark with their ‘Gluten Freekz’ stall will be with us through 2016 on alternate months beginning with the market on Feb 6th. The Community Stall at February's market will be publicising the Horsforth Allotment Centre on Featherbank Lane. Staffed by volunteers, the Centre is open on a Friday evening (check times and stock on their website) for all your gardening needs with everything sold at just above cost price. This months market on December 5th is a part of the first Horsforth Christmas Trail. After the market in the morning, there will be a Art and Craft market in the afternoon at the same venue and then, from 5 – 8 pm in and around St Margaret’s Church, there will be stalls, music, hot food, mulled wine etc. There are lots of other activities taking place on the day around Horsforth – look out for local publicity. Unfortunately Gluten Freekz is unable to be at the market this month but will be back with us in the new year. This month we welcome for the first time ‘Sweet Spice’ with a wide variety of granola breakfast cereals plus hot chai tea for a winter warmer! Entertainment this month is Christmas themed. There will also be the chance to dress up and have a photo taken as part of a nativity scene. Our guest stalls were I Spice: spiced vegan food, Round Greeen Farm: venison products, Olianas: Italian foods, Sweet Spice: hot chai tea and granola breakfast cereals, Dogsburghs Coffee Roasters with their freshly ground coffees. For this month's Guest Stalls, see our Guest Stall page. The Community Stall in October is staffed by Horsforth Trinity Players. They are a newly formed Amateur Dramatic Society at Leeds Trinity University here in Horsforth. For news of their next production, see their web page. Entertainment in October will be a Brass Band. An apology to those who were expecting Sticky Fingers to be at our August market with their gluten free confectionary. Unfortunately they had staffing problems again. In September we welcome back Autumn Harvest, one of our regular stalls. They sell an amazing range of wild, farmed and dried mushrooms. Mike's Fresh Fish will not be with us at the September 5th market. He will be back on October 3rd. Entertainment in September will be either live music or a Bouncy Castle. Autumn Harvest Mushrooms will be missing this month as Jane & Rachel are on holiday. An apology to those who came expecting Sticky Fingers to be at our June market with their gluten free confectionery. Unfortunately, they had to pull out at the very last minute but are hoping to be back at our August market. Autumn Harvest Mushrooms are back with us this month. Leeds Bread Co-op will be with us as usual but, this month, you'll find them in the lower market playground area. Dogsburghs Coffee Roasters: those who enjoyed their freshly ground coffee at the May market will be pleased to know that Dogsburghs will be back at our July, September and November markets. Gluten Free cakes and delicacies will be available at out June market. For details see the list of Guest Stalls. LATE-BREAKING NEWS! We're delighted to welcome back, at short notice, Melanies Chocolates. They were last with us in March this year. Salts Deli have decided to concentrate on their catering business and so, regretfully, will no longer will be with us. Autumn Harvest Mushrooms are missing this month as they have a family wedding. Congratulations to them! Please do join us at any market - always the first Saturday of the month from 9.30am to 12.30. Please do join us for our special Christmas market, with a photo opportunity Nativity Scene and lovely choirs from the local area. Our second birthday celebrations went very well with a much appreciated guest appearance from Mr. Stuart Andrew MP, delicious cakes and yummy organic apple juice and lovely tunes from Horsforth Music Centre. Join us this month for a range of delicious stallholders and a free bouncy castle – for your children. Sawley Kitchen with their award –winning hand baked biscuits. The big news this month is our Second Anniversary Celebration! We have so much going on that it is hard to fit it all on the page! Opening ceremony at 11am, but do arrive from 9.30, when we open. Delicious Fairtrade biscuits and cakes, complimentary with our toast. A toast with Seasonal Larders' delicious Plum or Raspberry Cordial. A visit from Jude Arbuckle and Stuart Hall MP. Live music from the fabulous Horsforth Music Centre. Balloons and a party atmosphere from our treasured stallholders. October’s Community Stall is Horsforth Music Centre. Also, this October, it is your last chance to get delicious fresh strawberries until next year ! Seasonal Larder with their range of seasonal produce; FayrebyAlley (delicious tray chocolates) and East End Nurseries with their delicious strawberries. Please do join us on September 6th from 9.30am. The community stall this month is run by Horsforth Fair Trade Town Campaign. Please do join us on August 2nd from 9.30am. ‘FayrebyAlley’ Delicious Canadian style chocolate. A sell out at the Horsforth Beer Festival each year! The community stall is run by Mark Saville this month. The entertainment this month is a FREE bouncy castle for customers' children. 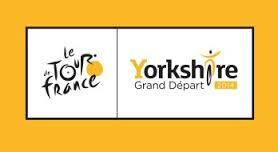 We will not have a market on July 5th as we are happy to promote the Tour De France. Please do join us on June 7th from 9.30am. Please do join us on May 3rd from 9.30am. East End Nurseries (fresh strawberries) for their first stall of 2014. La Cucina di Francesca with a wide range of homemade Italian food to take home. Please do join us for our award winning Market on April 5th from 9.30am. Pextenement Cheese Company is highlighted in the 'Spotlight On' section this month. The Community Stall this month is Horsforth Tennis Club - a very big welcome to them. I think I'll join - I just fancy a match of tennis. 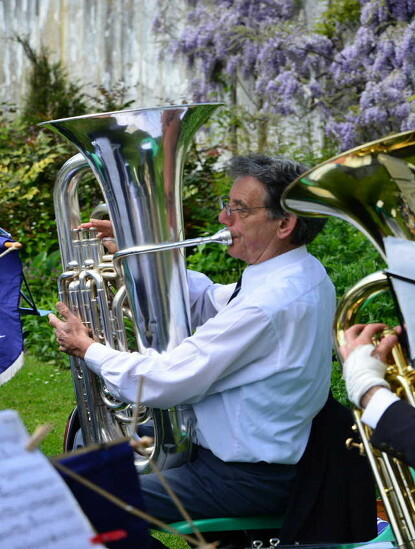 Also do look out for the brilliant Horsforth Leeds City Brass Band playing live at the Market in April! Horsforth Leeds City Brass Band playing at Horsforth Farmers' Market. Please do join us for our award winning Market on March 1st from 9.30am. Two new exciting stalls - I'm looking forward to trying their wares. I Spice is in the 'Spotlight On' section this month and Pextenement Cheese Company will be highlighted next month. Please do join us for our new years' Market on February 1st from 9.30am. Our first birthday celebrations went very well with a much appreciated guest appearance from Mr. Stuart Andrew MP, delicious cakes and yummy organic apple juice and lovely tunes from Horsforth Music Centre. The big news this month is of course our First Anniversary Celebrations! We have so much going on that it is hard to fit it all on the page! Delicious homemade cupcakes lovingly handmade in Horsforth, in our market colours too! A toast with one of our very own dear stallholders' delicious Organic Apple Juice. You can read a little more about them here. October’s Community Stall is the magical Horsforth Music Centre. Love 2 Spice, the home of fabulous food, made easy are with us in September. Herb Kitchen's fresh mustards, tomato ketchups, and other yummy condiments are also at the Farmer's Market in September. Look out for the brilliant Horsforth Leeds City Brass Band playing live at the Market in September! The Seasonal Larder is all about produce from our hedgerows. Enchanted Cupcakes will be weaving their magic once again at the Farmer's Market in August. August’s Community Stalls are Horsforth Evening Classes and the Horsforth Music Centre. The Bouncy Castle is Back! Look out for the Bouncy Castle again at the Market in August! Our guest stalls in June were The Seasonal Larder with produce from our local hedgrows; Horsforth Pick Your Own Farm with asparagus on our doorstep and East End Nurseries brought those delicious fresh strawberries again. Horsforth Fellandale Club was on The Horsforth Matters Stall. Farmers' Market of the Year!